I wanted to set up a tick box that when click on reveals some extra options. This box can also be unticked if you don’t want the options. 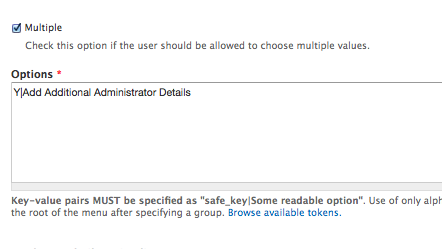 What you need to is when adding your type as ‘Select Options’ in the Form Component of Webform. 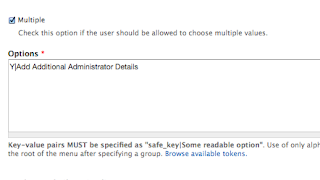 On the next page you’ll need to set only one options in the Option section. And then tick the ‘multiple’ selection above. If you don’t do this webform will create a radio button that cannot be unticked once it’s been clicked on.